 Delegates to the first major symposium organised by the Al-Maktoum College of Higher Education – Building Bridges – have rated the three-day event a success. An end-of-symposium questionnaire completed by delegates gave the event an overall score of 4.6 out of a possible five. 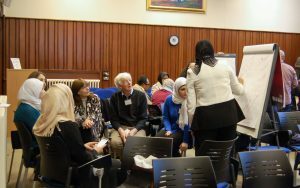 With speakers from home and overseas, 60 attended the opening talk on November 17 and a further 60 were in the College over the next two days for lectures and workshops, organised in conjunction with Scottish Interfaith Week. Two of the Saturday workshops – “Islamophobia, the Far Right and the Media” and “Fighting the Hatred” – scored 4.7 out of 5. The visit for delegates to the Al-Maktoum Mosque also proved popular with a score of 4.8 while the Arabic, Kurdish, Turkish, Greek and Celtic music session performed by the Peyman Heydarian Quartet gained a similar rating. Delegates acknowledged that they found the symposium helpful for interaction, sharing of knowledge and welcomed the diversity of content. They also suggested further symposia, possibly an annual event, more workshops and time for networking. The College aim of attracting a cross-section of the public to the event was met as delegates included students, lecturers, a legal advisor, a doctor, a teacher, a voluntary worker and retired people. “The feedback from delegates has been positive, and that is very pleasing, indeed, and will help as we plan for future events. 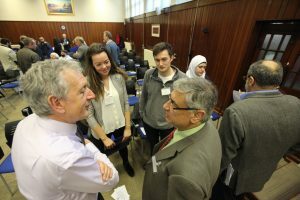 “As this was the first symposium we had organised, learning what our delegates thought of it all was important and we can factor their responses into the next one, which we plan to hold some time in 2017.